Free USA is the first full-length album by Protect-U, the Washington, DC-based duo of Aaron Leitko and Future Times Records co-founder Mike Petillo. On their two Future Times EPs - Double Rainbow and World Music - Leitko and Petillo poured layers of ambient drift onto nearly-steady house foundations, creating long and propulsive zone-outs. 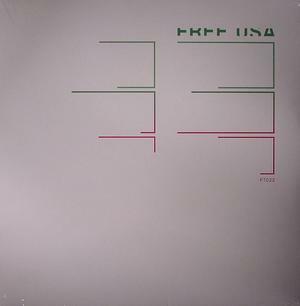 On Free USA, Protect-U doesn't depart from this sound as much as they launch further and further out with it, specifically in the rhythm section, which pivots and lurches into unexpected places throughout the LP. Melodically, automation and humanity combine with dizzying, psychedelic grace, making the sound design sparkle with cool precision. Free USA showcases Protect-U's constantly mutating strand of electronic music.